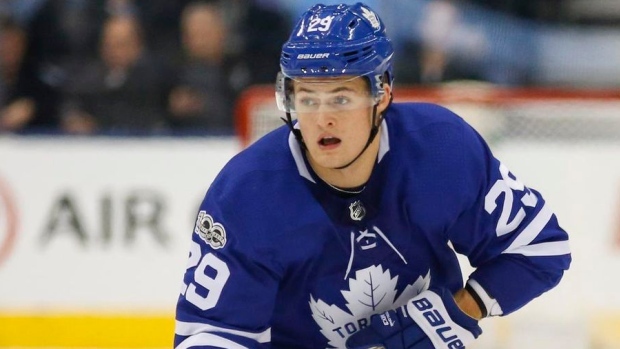 Insider Trading: Are the Leafs now open to trading Nylander? We are now inside a month to Decision Day for William Nylander and the Toronto Maple Leafs as the Dec. 1 deadline to sign or sit out the season fast approaches. Despite the Maple Leafs telling teams that they want to keep Nylander – and Nylander saying that he wants to stay in Toronto – the probability of a trade seemingly increases every day leading up to 5 p.m. on Dec. 1 so long as the two sides remain far apart. It's clear the Maple Leafs are holding firm to a price for Nylander that they feel fits their budget to allow them to re-sign Auston Matthews and Mitch Marner next summer. So until pen hits paper, there will be no shortage of suitors for Nylander. That’s why Nylander has debuted at No. 1 on the first TSN Trade Bait board of the 2018-19 season. It was this week last year that the first significant trade of 2017-18 was consummated, with Matt Duchene, Kyle Turris and an unprotected lottery pick changing sides in a three-team blockbuster between the Ottawa, Nashville and Colorado. That type of marquee movement isn’t likely to occur this week. No trade is imminent, it seems. But there are quite a few meaningful names that bear watching in the months leading up to the Feb. 25 trade deadline. In the short-term, the Los Angeles Kings and New York Rangers are candidates for early shakeups. They each have three players on the board. It’s believe GM Rob Blake would like to pull the trigger on a trade to try and shake the Kings (3-7-1) out of the Western Conference basement before resorting to a coaching change. The Rangers (4-7-1) may as well hasten their rebuild and get an important look at young players by moving pending unrestricted free agent vets. Approaching February, talk will heat up on pending UFAs, most notably Artemi Panarin, Sergei Bobrovsky and Wayne Simmonds. The Flyers seem to truly have no idea which way it will go with Simmonds – they could well sign him long-term or move him ahead of the deadline. Columbus seems content on letting this season play out with Panarin before taking another run at re-signing the Bread Man. The situation seems far less comfortable with Bobrovsky, the two-time Vezina winner, where contract talks have gone cold. It’s believed no meaningful progress has been made. Couple that with the fact that Bobrovsky is off to one of the worst starts of his career (.882 save percentage), and that backup Joonas Korpisalo has made the last three starts and, well, you can see things sliding off the rails.